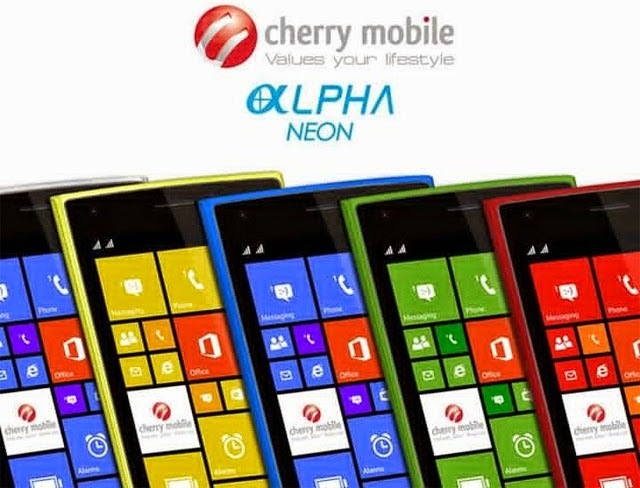 Philippine Electronic Manufacturer, Cherry Mobile, introduced two new Windows-powered smartphones at the Mobile World Congress 2015 (MWC) in Spain - the Alpha Neon and the Alpha View. The Cherry Mobile Alpha Neon sports 5-inch IPS HD display with 294 pixel per inch density. It is powered by a 1.2GHz Qualcomm Snadpragon 200 quad-core processor coupled with Adreno 302 GPU and 1GB of Ram. The device has 8GB internal storage with expansion up to 64GB via microSD card. This Dual sim mobile support 3G HSPA+, WiFi 802.11 b/g/n and Bluetooth 4.0 connectivity. Carrying 2,000mAh battery, Alpha Neon runs on Windows 8.1 operating system. 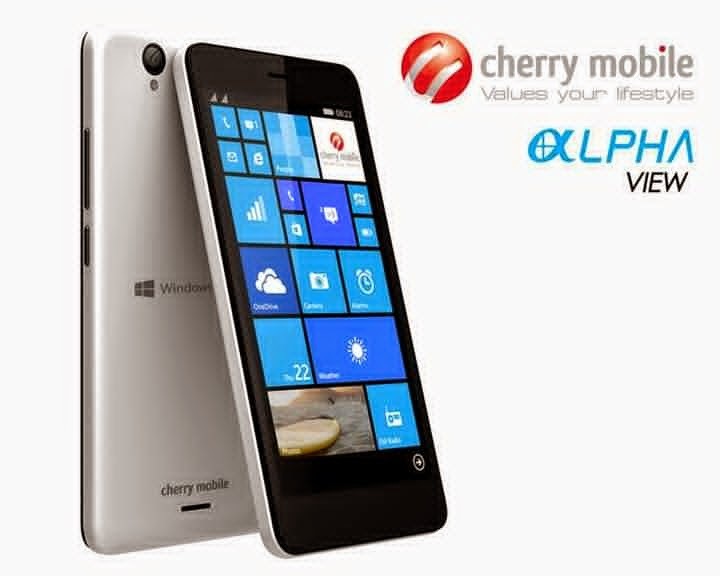 Meanwhile, the Cherry Mobile Alpha View flaunts a huge 6-inches IPS HD display with 245 pixel per inch density. It have the same 1.2GHz Qualcomm Snadpragon 200 quad-core CPU, memory, storage, operating system and connectivity just like the Neon, but the Alpha View have larger 2,600mAh battery.